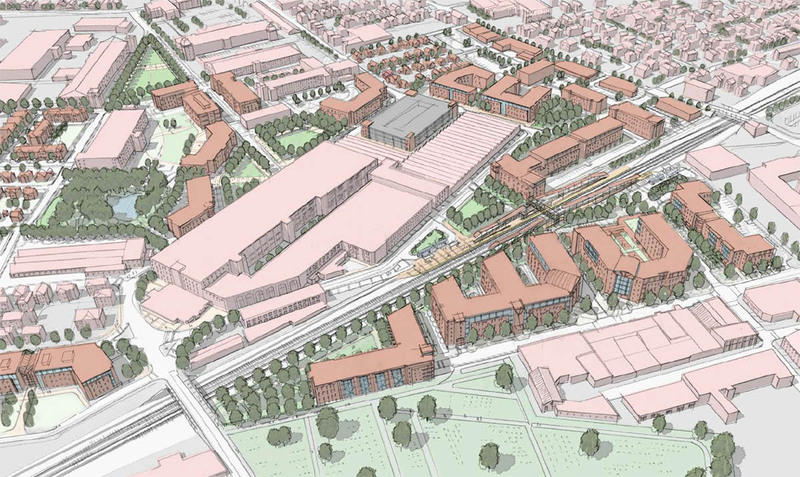 Companies interested in the city’s planned 150-acre transit hub range from residential and corporate developers to start-up manufacturers and light industrial companies. Jan Brodie, executive director of the Pawtucket Foundation, said the Conant Thread district will be similar to a “mini city,” featuring a planned Pawtucket/Central Falls Commuter Rail Station, between Conant Street and Main Street. As with her previous work with the I-195 Commission, people are asking what the exact vision is for the area on the Pawtucket and Central Falls line, but she said that evolution is hard to predict this early. Zoning in this Transit-Oriented Development (TOD) district is “very flexible,” meant to encourage all types of use opportunities in an area that will be a hub for alternative forms of transportation and sustainable infrastructure, she added. The TOD district surrounding the planned train station, which is expected to be built in the next two years, will be be friendly to walkers and cyclists, say officials. More information on the Conant Thread District.